Hello friends! I am excited to finally go live with details for this event! We have an amazing lineup of models at the best urbex spot in the US (that I’ve been to thus far). We have complete permission to shoot at this stunning location, however the owner asks that we do not mention the name of his property since we are shooting the figure at this event. To attend: You will need to provide your own accommodations and travel to the Atlanta, Georgia area. Once confirming your attendance to event by paying deposit, I will send you options near the location for hotel accommodations. It is about 45 minutes away from Atlanta. Transportation to the event is also not provided by Events with Dakota. The event is near Rome, Georgia but exact location given only to those who attend. We will have four models and are capping the attendance at 12 photographers for a ratio of 3 photogs to 1 model. No paparazzi style, we will operate on a rotating timer until everyone in each group of three gets to shoot with the model in their group, then we rotate models. 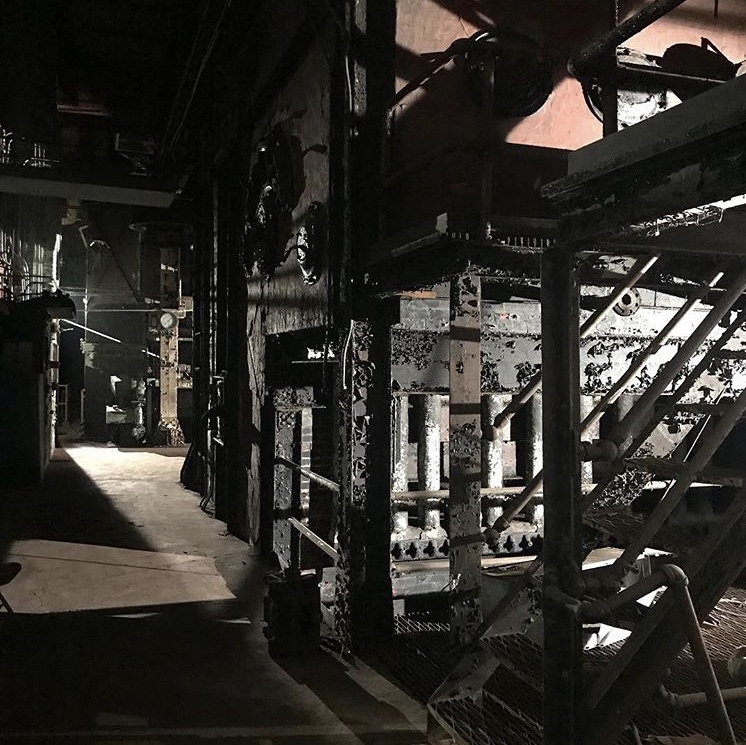 This location is absolutely massive with multiple buildings to shoot in and out of with tens of thousands of square feet available so we will have plenty of room to explore. We will have also have model combos periodically so that you have the opportunity to have more than one model in frame. We will remain as a group always. No wandering too far away from the group to do your own thing. I will have an assistant host/photographer for this event to ensure that things run smoothly and that we all stay together. At the request of a few photographers, I (Dakota) will be modeling for this event but am, essentially, the director/host, so please understand I will also be floating around at times to communicate with the assistant and other attendees to maintain a smooth event. Lighting will be almost exclusively natural light, however I will be providing fill for a few spots as the location does have a couple spots with power outlets. All photographers and models will be required to sign a waiver upon arrival to participate in the event and models will all have printed model releases which will be signed at the end of the event. Date and time: September 28th, 2019 near Rome, Georgia from 11 am-7 pm. We will break to eat lunch during the 8 hour period. You are welcome to bring your own food, however I will have lunch items available such as sandwiches, snacks, water will also be provided. For this event we have four very experienced figure art models with one of the models, Jane Krantz experienced as not only an art model, but also as a dancer with extensive Ballet training. Jane will be providing gorgeous dance movements with a variety of wardrobe. Cost: The cost for this full-day event will be $375 per photographer. Payment will be split into two installments: A $150 *Non-Refundable deposit with $10 processing fee will be required to reserve your spot to the event, and then the remaining $225 (with $10 processing fee) will be due by September 1st. Payment can be made HERE (click link). If you prefer to avoid processing fees, you can make your deposit through Venmo. If preferring the latter option, please reach out at msdakotasnow@gmail.com or if we have already worked together, you can reach out however we normally communicate. Once deposit and final balance is sent, both the deposit and remaining balance will be refundable only if event cancels or another photographer is able to take your place. Any further questions, please reach out to me at msdakotasnow@gmail.com. Thank you so much, and see ya there!